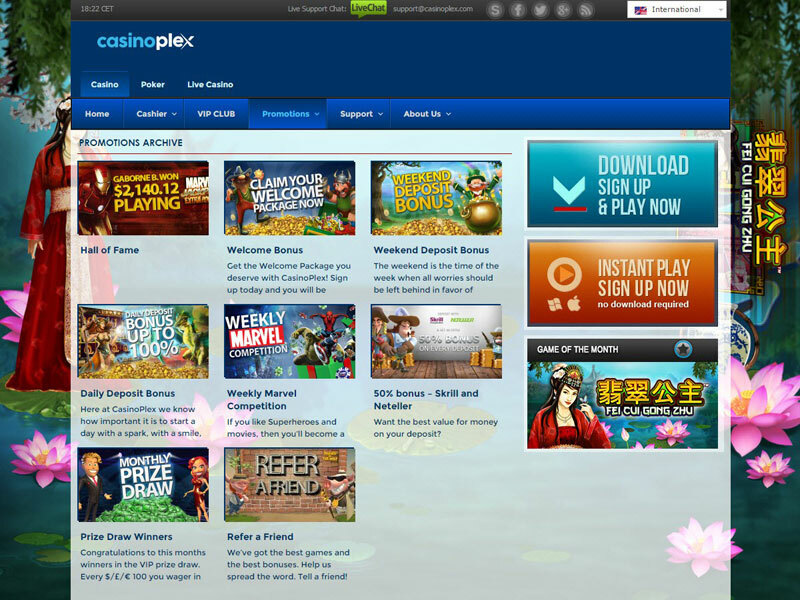 CasinoBonusNews → Casinos → "Casino Plex review"
Casino Plex Online is a casino that embraces both its serious side and its fun side. On the one hand, it takes a serious commitment to being secure and trustworthy. It wants players to know that the promotions and bonuses it puts out are for both the casual player and the high roller. 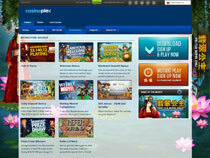 Casino Plex puts forward the best games powered by Playtech software. However, one of the many promotions Casino Plex offers is called Crazy Thursday, where players get 25 percent cash back on all losses. The casino strongly advertises the goofy video slot machine Spamalot and uses Marvel’s Iron Man as the mascot for its Refer A Friend program. Clearly this is an online casino with character, or at least one not afraid to use characters to make a point. In addition to Crazy Thursday and the friend referral, this casino has so many daily promotions, weekly bonuses and monthly promotions that it dedicates a page on its Web site to a calendar explaining each one. New players can start with the welcome bonus, which gives them a 100 percent matching bonus on the first two deposits, up to $500. This bonus requires a 50 times play through amount. All bets on slot machines count 100 percent to this play through, while 50 percent of each bet on scratch cards, 25 percent of each bet on arcade games and 5 percent of each bet on table games and Asian games go toward meeting the requirements. Anyone who is a part of the casino’s loyalty program will want to log in to play on Wednesdays, since Casino Plex gives players double comp points. As comp points accumulate players rise up in the levels of the VIP program to earn better incentives like special club only daily bonuses, new level bonuses, higher cash back percentages and larger betting limits. Other days are reserved for different special promotions, like the monthly prize drawings, special days to earn a 100 percent matching bonus when depositing or earn extra cash back. Once players have chosen their bonuses, the question becomes one of choosing the right game to play it with. The casino has the best that Playtech has to offer, like the numerous Marvel licensed slot machines like the X-Men and the Fantastic Four. The playful slots like Lotto Madness and Funky Monkey are on hand, too. Gamblers can pick from seven lotto-like scratch tickets or seven variations of video poker where they can play from one to 100 hands. They may choose to try their luck at bingo or keno. Some may head straight to the table games. That gives them a shot at winning on one of the popular games like blackjack, baccarat, craps, roulette, casino hold’em, Wild Viking or Red Dog. And the good news is that most of these games are available to play in the instant play version, usually used by Mac user. All games are available in the full downloadable version of the casino, which is compatible with PC computers but not Macs. Plus, Casino Plex has a sister site called Poker Plex 24 where poker fanatics can compete against each other in ring games, sit-n-go tables or tournaments anytime they want. Even though anyone can play the games in the casino in practice mode, the real thrills start when laying down bets in real money. 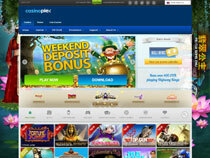 To get money into an account, players need to choose a banking method that sends and receives money from online casinos. Fortunately, Casino Plex gives players many different online banking options to work with, so that almost anyone can find one they are comfortable with. 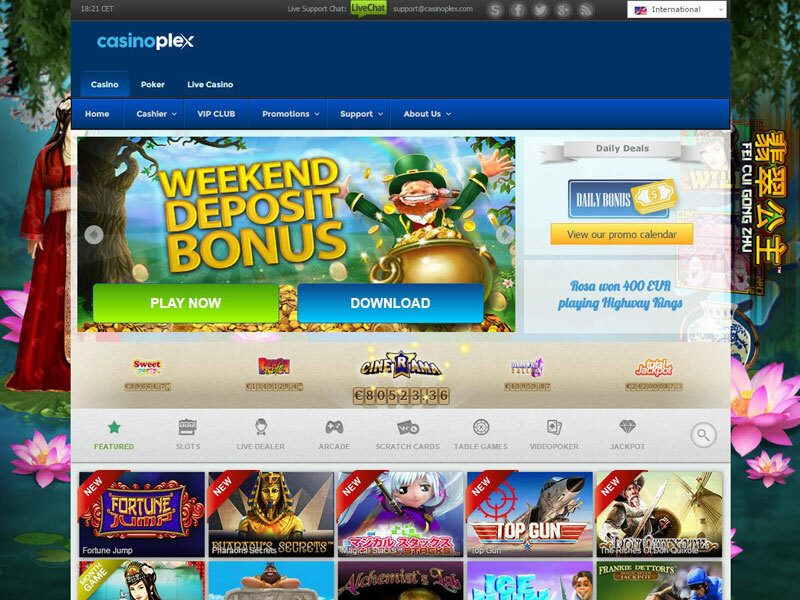 This particular casino accepts payment made through bank transfers, credit cards, debit cards, Skrill/Moneybookers, ClickandBuy, ECO Card, NETeller and more. The options available for each player will be presented at the cashier window. When the player is ready to take back his loot or cash in the winnings, the casino will usually return money in the same method as the player chose to deposit it. Exceptions may be made in some cases, such as some credit cards that won’t allow money from the casino to be returned. In these cases, players will be able to choose an alternative.